General TV Channel / Radio and Television of Montenegro is the public service broadcaster of Montenegro. A state-owned company with its headquarters in Podgorica, it is made up of Radio Montenegro (RCG - Radio Crne Gore) and Montenegro Television (TVCG - Televizija Crne Gore). 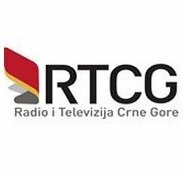 In July 2001, RTCG became a joint member of the European Broadcasting Union (EBU), and became a full member of the EBU upon the declaration of Montenegrin independence in 2006.